When New York City Restaurant Week happens it's as if another Miracle on 34th Street has happened! Restaurant Week gives New Yorkers and tourists alike the ability to venture to some of the best New York City restaurants, usually the ones that the average joe couldn't normally afford to go to. It occurs twice a year and this is something you do not want to miss! The restaurants that participate have a special three course lunch and dinner menu that they create for the event. This time around, the lunch menu is $25 and dinner one is $38; these prices are such a steal for the lavish places you get to go to! Here's part of the restaurant that I was able to see from where I was sitting. 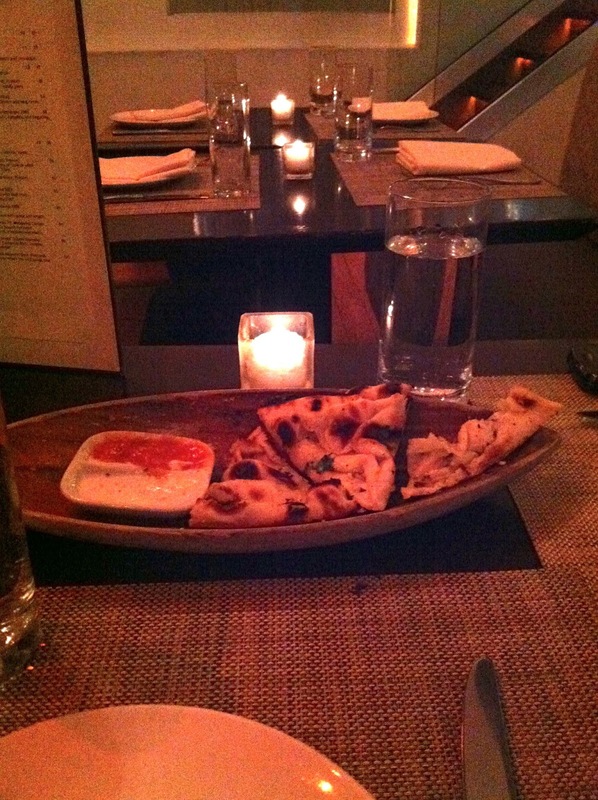 What's really cool about Pranna is that it's not only a restaurant but it is a lounge as well! The ambiance was very modern and chic and that definitely helped fit the mold to be both a lounge and a restaurant. My lovely friend, Ashley got to the restaurant before me so when I got there, there were already these great pieces of baked pita bread on the table to munch on. We enjoyed the white dipping sauce the best; it tasted a bit like tzatziki. 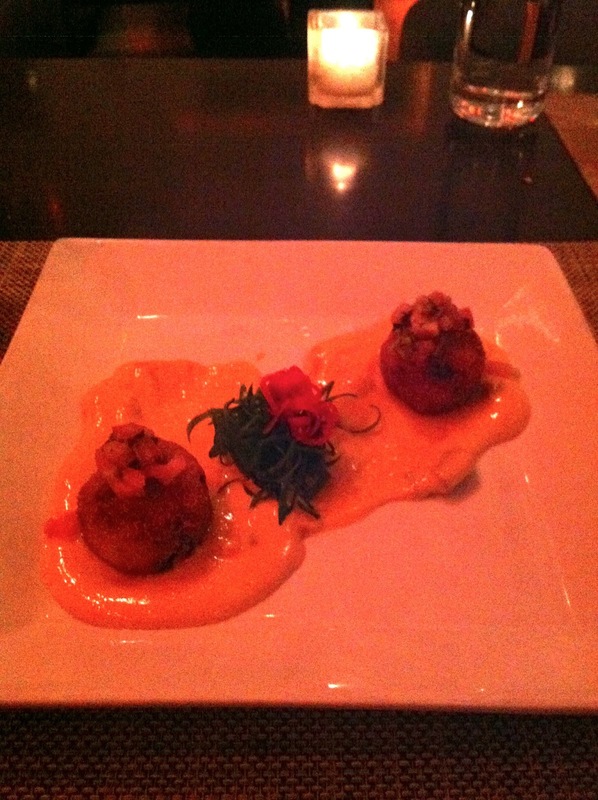 For an appetizer, I ordered the crab cakes. It was very good! For the main course, Ashley and I ordered the same dish; the Flash Fired Hanger Steak. We were both extremely grateful for the rice that accompanied the steak since the sauce was a bit too spicy for our liking. It was still good and the presentation really added to the modern Asian theme that Pranna is all about! 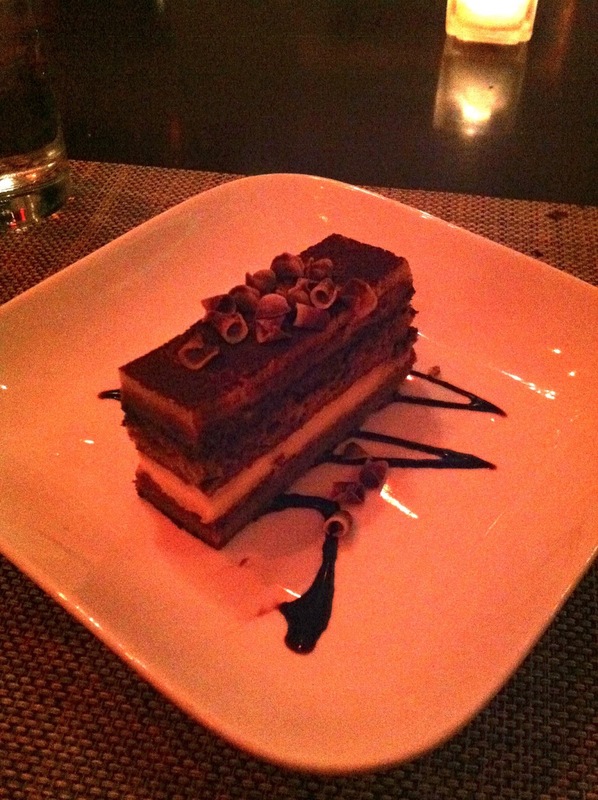 For dessert, I couldn't resist having the tiramisu! Tiramisu is my absolute favorite dessert and to see it on the menu with a 'Thai' twist... oh I thought I had died and went to dessert heaven! It was delicious and the perfect size too. After all that food, I was nervous I was going to have skip on dessert... but don't worry, I made all gone! The last part of the meal, my friends, was absolutely the best part. So since I absolutely L-O-V-E twitter, I went to check out Pranna's twitter page, and while I was there I saw that their last tweet said something to the beat of, if you check-in on Yelp, you can get the cocktail of the day FOR FREE." When I saw that, Ashley and I frantically went to download the Yelp App on our phones, checked-in, and showed our waitress the deal. 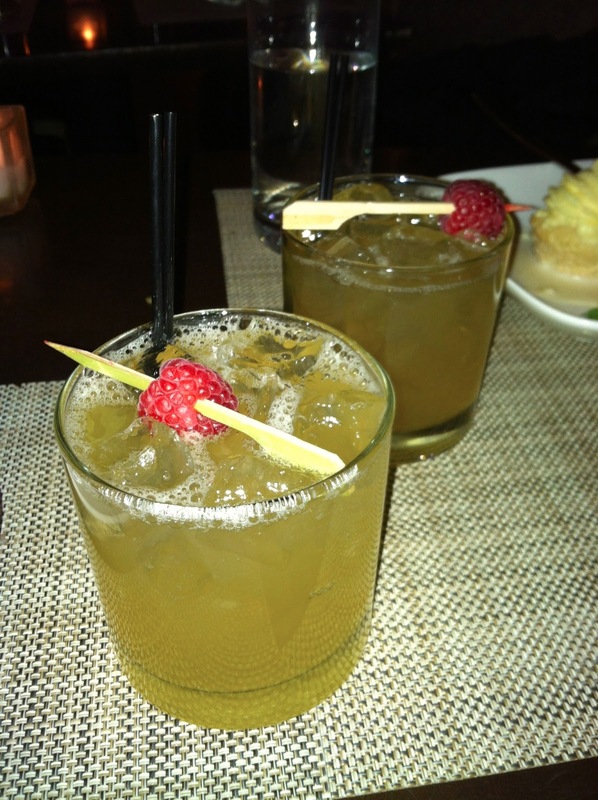 And here are our lovely drinks; the Cherry-Pear Brandy Smash! They were good, very sweet but still tasty! Thanks to Pranna, I am now a huge fan of Yelp! I am all about steals and deals and I didn't know Yelp could provide that as well as reviews of almost anywhere you'd want to go! Ashley and I had a great time enjoying Restaurant Week and we definitely would go back to Pranna. We were told that their Sunday Brunch gets a little wild and crazy so we may just have to go and check that out for ourselves! Have you gone to any restaurants for this winter's restaurant week in NYC? Let me know where you have gone! Follow me on: Bloglovin', Twitter, YouTube, Facebook. It's getting a little Fishy!